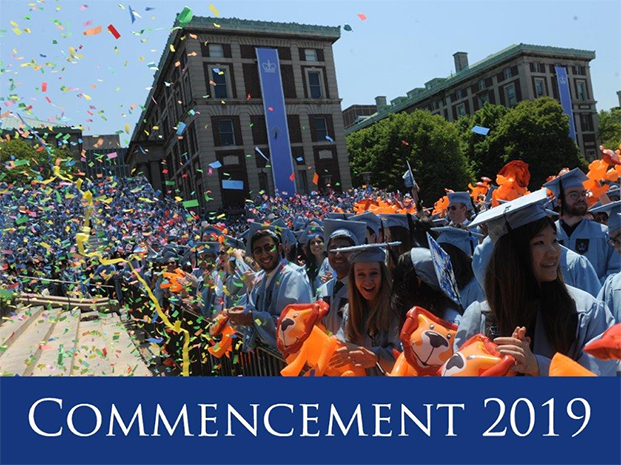 Upon graduation, you automatically become a member of the Columbia Alumni Association (CAA), a global network of 300,000 Columbia University alumni. As you prepare for this next stage in your Columbia experience, we would like to remind you of several opportunities to stay connected to Columbia and your peers, as well as resources you will continue to have access to as a Columbia alumnus/a. The dynamic CAA homepage hosts items such as Alumni in the News and an events calendar and search tool. Columbia Alumni have benefits such as computer discounts and insurance (home, auto, life, and long term care). Online Networking: Columbia Career Connections and LinkedIn as well as access to seminars, events, and job listings. The University-wide Alumni Directory helps you stay connected with alumni from all Columbia schools. Update your information, then search the directory for old friends and new contacts. You can also connect to the CAA Facebook page to view photo albums and events; and CAA LinkedIn page to for discussion threads. This page also allows alumni to post and search for jobs, and network professionally. Special benefits and discounts at various cultural institutions. Listen to podcasts and online seminars, read the Columbia Magazine and learn about travel study trips. Graduates can order transcripts and diplomas through the Office of the Registrar. Apply for a university alumni ID card that grants renewable reading privileges. Borrowing privileges may be purchased at a reduced rate for alumni. Alumni Clubs are supported by the CAA throughout the United States and over 40 locations around the globe. Find the club nearest you to make a connection. Stop by the Center to catch up on the latest University news, check e-mail and use free wi-fi, explore alumni benefits and electronic resources, or just have a cup of coffee. The Columbia University Club of New York is a private social club for alumni of the eighteen schools and divisions of Columbia University, Barnard College, Teachers College, and affiliate schools. The Club offers a gracious and welcoming environment conveniently located in two blocks from Grand Central Terminal. Insurance, Columbia University credit card, ad other financial products at preferred rates. If you are a Columbia graduate and need your UNI or password, go to the Log-In Help page for immediate assistance. For more information on School of Professional Studies Alumni Resources, contact us at 212-854-9247 or email spsalumni@columbia.edu.